The surprise he's referring to here is usually not a pleasant one. I can't tell you how often we've been hired in the aftermath of a non-appraised transaction and end up reporting "surprising" equipment values. It's particularly common when the parties to the transaction are friends and or families; in these situations especially, both buyers and sellers may decide to minimize expenses associated with professional legal, accounting and appraisal fees and carry out the transaction on a handshake or with a poorly written agreement. Litigation frequently follows. Don't wait for the surprise. Avoid costly and unnecessary litigation by getting your appraisal before completing a transaction rather than afterwards. As [the industry] base shrinks and as the nature of the demand for print continues to change, the companies that have survived need new ways of adapting. Because organic growth in a constricted market is harder to achieve, growth by acquisition gets greater attention as a strategic alternative. 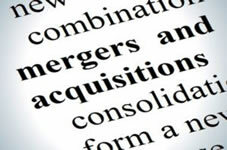 Discussing the "steady & diverse" pace of printing industry mergers and acquisitions in 2017, the article explains that acquisition is a particularly viable option as "the principals of family-run businesses enter their senior years. For third - and fourth-generation owners who have no further wish to stay involved, selling is the logical exit." We've often seen that situation, where the next generation, for whatever reason, is not in place to take over the family business. This happens not only in the printing industry, but also in construction, farming, food processing and industrial manufacturing. Whether you are a would-be seller or a would-be buyer, you may be well served by working with a competent professional in the M&A industry to guide you through the transaction process, as the PI article suggests. You will certainly benefit by hiring an ASA appraiser who can provide a professional, industry-specific appraisal to help avoid any surprises.